On May 28, Ansol received the last taking-over certificate on Kpong Water Supply Expansion Project from the engineer, which means that the project is completed and comes into guarantee period. The main work was completed on February 3, 2015 and President of Ghana John Dramani Mahama presented at the completion ceremony. The water was supplied half a year ahead of schedule, which gained highly praise from President. 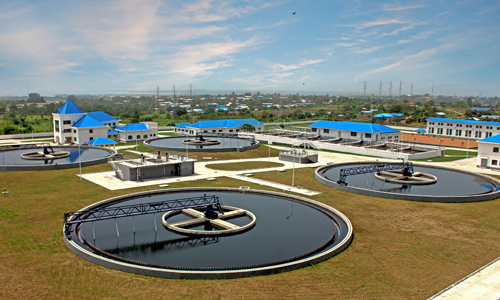 The Project, located in the coastal plain area of Kpong, 45km from north of Tema, including water plant, production management building, water pumps, substations, raw water aeration tanks, low load clarification tanks, air-water backwashing tanks, large clean-water reservoirs, water pipes and booster pump stations, etc. 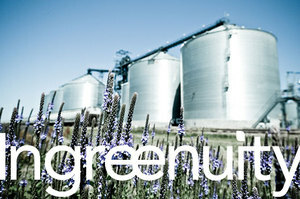 The project adopts many clean water treatment techniques such as conventional precipitation, sand filtration, and disinfection. It will be the largest water supply project in Ghana after completion and will play a key role in improving the economic development and residential water condition of Accra, capital of Ghana and surrounding areas.